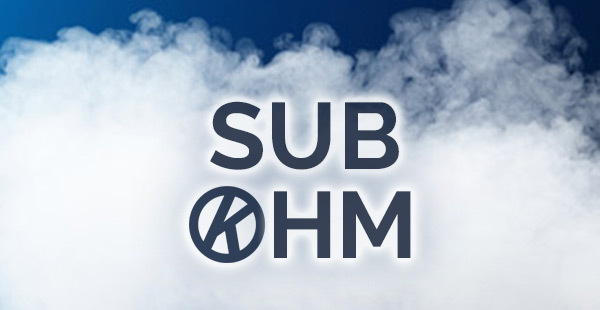 Ever seen a vaper exhaling big plumes of vapour and wondered what it’s all about, or heard the term ‘sub ohm’ but have no idea what it means? Read on to find out what it is and where to start. In short, sub ohm is vaping using a vape kit with particular specifications, which creates large clouds of vapour. Plus free e liquids & free UK delivery! Is Sub Ohm Vaping Safe? Initially, sub ohm vaping was only really accessible to experienced vapers who understood Ohms Law and had a technical knowledge of how e cigarettes work. The wrong combination of power and resistance in a coil can be dangerous so this form of vaping was only pursued by very experienced users. Sub ohm vaping is now much more accessible and kits are regulated to ensure safety for users. Some kits come with batteries where you can change the wattage and voltage. Others are simple to use and already set up for a great sub ohm experience with just the press of a button. 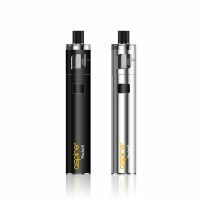 Examples of great beginner sub ohm kits are the Aspire PockeX & Smok Stick V8 Baby Kits, both available from our online store. Provided you follow the overall safety guidelines for e cigarettes and batteries and buy a kit from a reputable supplier then sub ohm vaping is just as safe as above-ohm vaping. What Else Do You Need To Know Before Buying Your First Kit? As a general rule, sub ohm kits will provide a direct-to-lung vaping experience. This simply means that you should inhale the vapour directly into your lungs. 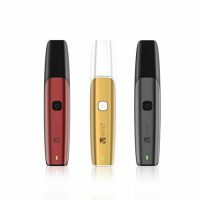 Standard kits tend to be more suited to the mouth-to-lung style of vaping. Mouth to lung vaping is similar to how a cigarette is smoked, where the vapour is inhaled into the mouth, then into the lungs. Sub ohm vaping can take a little getting used to. If you find you cough when trying a sub ohm kit for the first time, practice inhaling the vapour directly into your lungs. Also, make sure that the nicotine strength isn’t too high. 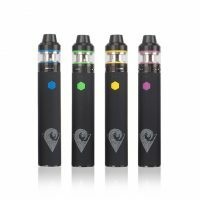 As mentioned about, the nicotine delivery is faster with sub ohm kits so you generally won’t need as much nicotine strength as you would with a standard kit. Which E Liquids Should You Use With Sub Ohm Kits? The main ingredients in e liquids are Propylene glycol (PG), vegetable glycerine (VG), natural & artificial flavourings and nicotine (where indicated). The main base ingredients of PG and VG are important when it comes to the kit you are using. Sub ohm e liquids tend to have a higher ratio of VG. This is usually 70% and above, however 50/50 mixes tend to work with all types of kit. Higher PG liquids like those from our Classic E Liquid range are more suited to standard vaping. High PG juices will produce a harsh vape in a sub ohm tank. As mentioned above, the increased volume of vapour with sub ohm means you will need to use a much lower nicotine strength. The most common nicotine strength for sub ohm vapers is 3mg (0.3%). If you’re new to vaping, you may want to try 6mg, or use a short fill e liquid where you can add your own nicotine to get the desired strength. You can find out more about e liquid ingredients on our ‘What is PG/VG’ page. Visit the Information Hub for product guides, troubleshooting and general information.